Our favorite country stars love to feature their spouses in their music videos and we have gathered some for you to see! Country Music Wives are the stars in this set of Music Videos! As country music fans, we love getting to know our favorite performers and love even more getting to know who they are married to! Luckily, our favorite country music stars don’t mind sharing the people they love with their fans, especially in the form of including them in their music videos! 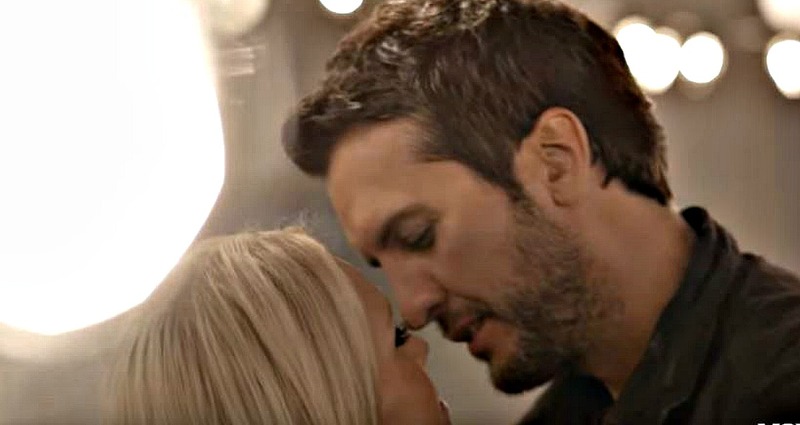 When a country music spouse shows up playing a part in a music video it isn’t always obvious. We have included some videos featuring the significant others that you may have missed. Atkins former wife Tammy Jo (married from 1998-2012) makes an appearance towards the end of the video portraying herself as Atkins’ own “farmer’s daughter” complete with a romantic tractor ride. Owen’s ex-wife Lacey Buchanan and he met while filming the music video for his 2009 single “Eight Second Ride”. The pair clearly had chemistry right away, as seen in the steamy video, which resulted in their marriage and their beautiful daughter Pearl. Sadly the pair would divorce after just 3-years of marriage, however their initial love would forever be capture in this music video. Paisley’s future wife, actress Kimberly Williams, stars in the music video for his 2001 hit song “I’m Gonna Miss Her”. Williams first caught Paisley’s eye on the big screen when he took a date to see the movie Father of the Bride in 1991. Four years later, he returned to the theater alone for the sequel and was impressed with Williams’ performance as Steve Martin’s daughter. He remembered thinking, “She seems like a great girl – smart and funny and all those things that are so hard to find.” They began dating in 2001 and married in 2003. Williams also makes an appearance in Paisley’s “Little Moments” (2003). Aldean’s music video for his 2007 song “Laughed Until We Cried” featured Aldean’s first wife Jessica and their daughter Keeley. The video features Aldean’s family as it tugs on the listener’s heartstrings and reflects on what’s important in life. Aldean famously divorced his first wife Jessica Aldean (Ussery) and married his current wife Brittany Kerr. Aldean and Kerr welcomed their son to the world on December of 2017. Brittany Kerr was also featured in Aldean’s music video for his song “A Little More Summertime”. Bryan’s wife Caroline Boyer co-starred in his music video for “Crash My Party” and the couple even kissed on camera for all their fans! “What I love about the whole concept is how I inadvertently interfere with another couple and put them down a path where they see each other, and all of that is surrounded by the date night I’m organizing with my wife,” Bryan explained in an interview when the song was released. “I don’t realize that I intervened in this other couple’s world … I put them on a path to meet each other by going and picking flowers for my little date … with my wife”. Luke has featured his wife and family in several music videos. His “Sunrise, Sunburn, Sunset” and “Huntin’, Fishin’ and Lovin’ Every Day” music videos features his family. Watch the sweet music video for “Crash My Party” below! Thomas Rhett’s wife, Lauren Akins, has appeared in six of his music videos including: “Get Me Some of That“, “Die A Happy Man,” “Vacation,” “Star of the Show” and “Craving You” and “Life Changes” making Lauren one of the most featured music video wives of all time. The end of “Get Me Some of That” video fades away with a scene of Thomas Rhett locking eyes with a beautiful woman in the bar (his wife Lauren). Alan Jackson is having a nostalgic moment as he sings next to large video screens portraying images of love and the history of his relationship. His wife, Denise Jackson enters the scene and dances with her husband. Alan also shows his personal life in the music video for “The Older I Get”. Here is Denise Jackson in “Remember When”. Josh’s wife Jennifer Ford (Turner) is the main star in this music video. The video is shot in a hotel and features the couple enjoying a steamy night out. Josh is singing to his wife while members of the hotel staff dance in the background. Scotty McCreery featured his girlfriend (now wife) Gabi Dugal McCreery in some of his earliest videos — “The Trouble With Girls” in 2011 and “Feelin’ It” in be seen again in the upcoming video for his latest single, “Five More Minutes. Check out Gabi in the “Feelin’ It” music video and watch footage of their wedding below in “This Is It” music video. Scotty’s latest music video “This is It” features footage of the couple’s actual wedding. The wives of Florida Georgia Line’s Tyler Hubbard and Brian Kelley appear in current single “God, Your Mama and Me” (along with the spouses of duet partners the Backstreet Boys), as well as in last year’s “H.O.L.Y.” See Brittney Marie Cole Kelley and Hayley Stommel Hubbard in the “God, Your Mama and Me” music video below. 11. Drake White’s wife (Alex) appears in his music video for “Makin’ Me Look Good Again“. 12. Dierks Bentley featured his wife (Cassidy Black) in the music video for the song he named for her, “Black”. The music video was filmed on Iceland’s chilly Black Sand Beach. We hope you enjoyed this listing of Country Music wives that served as the stars of the show! Remember to “share” this with other Country Music fans.